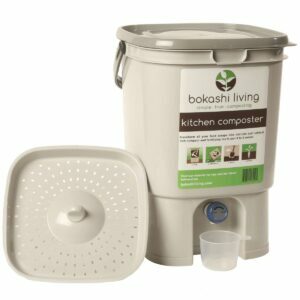 View cart “4-Step and Troubleshooting Guide to Bokashi Composting” has been added to your cart. If we had to pick one product that is the most beneficial for plants and gardens, this would be it. Adding beneficial microorganisms to your garden should easily be counted as the most important and rewarding task for the gardener – the results will speak for themselves in terms of healthier plants and increased yields. 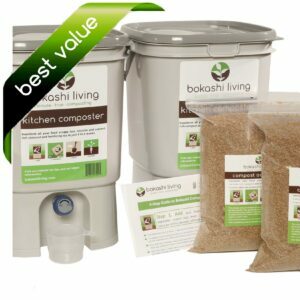 This product goes hand in hand with bokashi composting, and most gardeners utilize both EM and bokashi composting as their fundamental tools for building their healthy soils. This product is ready to use right from the bottle, simply dilute with water and apply directly to your garden, plants, lawns and trees. You can apply up to once a week for maximum benefit, but most home gardeners apply just once a month throughout their growing season, and see tremendous effect. Simply put, plants thrive with a healthy soil structure, and this product is the foundation of just that. EM is non toxic, biodegradable, and approved for organic use. Available in two sizes, for usage information see description below. 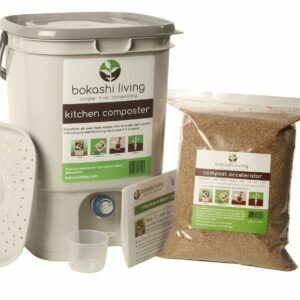 Free shipping when purchased with any bokashi starter kit! If we had to pick one product that is the most beneficial for plants and gardens, this would be it. 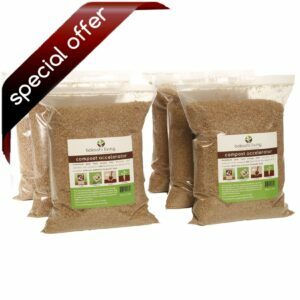 EM Effective Micro-organisms is a concentrated mother culture of naturally occurring beneficial micro-organisms (bacteria, yeast and fungi), and includes enhanced levels of purple non sulfur bacteria. These are garden friendly pro-biotics, which speed up the decomposition of organic materials, promoting plant root development and enhancing both soil structure and plant vitality. The use of EM rapidly leads to crops with improved health, yield, and better resistance to pests and disease. Being a mother culture, this product is highly concentrated, and needs to be diluted with water. For all applications mentioned below, it’s important to use non chlorinated water, as the chlorine in municipal water is harmful to microbes. You can conveniently remove the chlorine from your municipal water by simply letting the water sit out for 24 hours in an open top container. After 24 hours the chlorine will evaporate off all on its own, and be safe to use. Soil & Garden – dilute at a rate of 1 part EM with 120 parts water (1 oz per gallon), and apply with a watering can as a soil drench. For larger farming applications, it can be applied with a sprayer, provided that not too much pressure is used. Try to apply directly around the root zone, with the intent of getting the EM down to the roots of the plants, where it will provide immediate and maximum benefit. Most gardeners use this product once a month throughout the growing season, and see tremendous results. It can safely be applied up to once per week for maximum benefit. Foliar Spray – Dilute as above, and apply with a light sprayer. It’s best to apply in early morning, before the leaves are exposed to any direct sunlight. The microbes will attach to the leaf surface, feeding the plant and providing excellent resistance to pests and diseases. Composting – dilute at a rate of 1 part EM with 8 parts water, and spray/mix into compost pile or material to be composted. This will result in a significant increase in the speed of the composting process, and a healthier and more thorough mix of finished compost. Seed Germination – dilute at a rate of 1 part EM with 1000 parts water, and soak seeds for up to half an hour before planting. This introduces the microbes at the root level, right when they are starting out. Plants treated in this way grow faster, and healthier, right from the start. This is a living product, and when stored correctly will last 18 months. 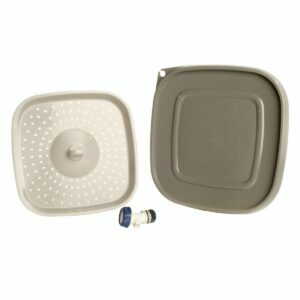 Store at room temperature, out of direct sunlight, and with lid tightly secured. If storing less than full bottles, it is beneficial to squeeze the air out of the bottle as much as conveniently possible before tightening the cap.